General surgery is a discipline that requires knowledge of and responsibility for the preoperative, operative, and postoperative management of patients with a broad spectrum of diseases, including those which may need nonoperative, elective, or emergency surgical treatment. The breadth and depth of this knowledge may vary by disease category. Surgical management involves skill in complex decision making; general surgeons should be competent in diagnosis as well as treatment and management, including operative intervention. General surgeons are trained to manage a broad spectrum of diseases and injuries to almost any area of the body which requires surgery. These physicians are involved in diagnosis and treatment as well as pre-, intra- and post-operative care. They are usually responsible for the comprehensive management of trauma and critical care patients as well. 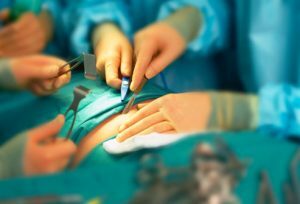 Although its scope is broad, general surgery usually involves the abdomen, breasts, peripheral vasculature, skin, and neck. General surgeons today in the United States only rarely perform complex neurologic, orthopedic, thoracic or urologic procedures. General surgery is one of the two biggest surgical claims to fame in the UK (the other being injury and orthopedics) utilizing 31% of the nation’s expert specialists. This is a far-reaching surgical forte with numerous sub-strengths.